I don't know about you, but there are times when I want to ask a veterinarian a question about one of my dogs without taking off from work, putting my dog through a "trip to the vet" and shelling out $30 or so just to ease my mind. If you can relate, then you may want to take advantage of this service. 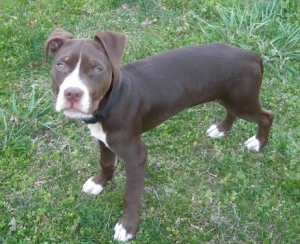 JustAnswer is an internet based company with experts in a variety of fields including veterinary medicine and pet care. They have an A+ rating with the Better Business Bureau and they guarantee your satisfaction. Since I have used them myself, I can also offer my personal recommendation. You can read about my personal experience below. To ask a veterinarian a question, type your query in the above box and press "Get an Answer". You'll be directed to create an account and name the price you want to pay to have your question answered. The going rate in the pet health/pet care category is between $9 and $15. That's already a significant savings over most office visits. And, when you factor in your time and gas, it starts looking even better. You'll be notified by email when your question has been answered or if the vet needs more info from you. You decide if an answer is worthwhile. And, you only pay for an answer that you like. That's how the company guarantees your satisfaction. If this sounds good to you, I recommend that you bookmark this page so that you can locate it easily when you need it. At 4 a.m. on a Saturday morning, I'm usually the only soul who is awake in our household. Generally, it's my "me" time. And, a good time to work on projects that require concentration (like working on this website). On my way to the kitchen to get that first cup of coffee, I heard a noise that made me realize I wasn't the only one awake. I took a detour into the living room to find Merlin, our 5 month old pit bull puppy (pictured here) happily working his jaws as if he were just polishing off whatever he had had in his mouth a few moments before. Next to him on the floor was the metal fastener that belonged on the end of a six foot leather leash. But, the leash was no where in sight! Determined there was no way that this little guy could have devoured all 6 feet of leather strap, my husband and I searched the house. We looked under the beds and in the corners of every room. We moved furniture around. Nothing. Damn. If we still lived in the city, I could have scooped Merlin up and been waiting with him at the vet's office when it opened. But, we live in a sparsely populated rural area. One veterinarian works part time in our county and part time in the neighboring county. No weekends. No after hours hotline. I was starting to feel desperate. Merlin seemed OK. But, I knew that in a short time, he could be in serious trouble. I needed some perspective. I needed a plan. And, I needed to know what to do and what not to do. I wasn't sure if Ask a Veterinarian could help me in this kind of situation or not. But, they came through like champs! Within 2 minutes (literally) of posting my question, I had gotten a response from one of their vets. I posted a follow up question and received an equally speedy reply from the same professional. So, within 15 minutes and for a cost of $15, I had gotten the information I needed to make it through. Emergencies--get your dog to your vet or an after hours clinic. Don't waste precious time waiting for an internet answer. Serious illness that requires immediate attention. 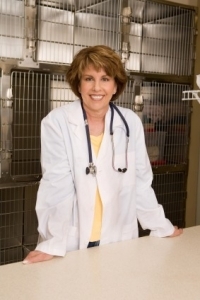 Routine check-ups--an Ask a Vet service cannot replace having a relationship with your local veterinarian. While this is not a solution for emergent situations or a replacement for routine care, it's nice to have the option to ask a vet a question for the in-between stuff that crops up every now and then.